The storage basket made of seagrass by Bloomingville is not only decorative, but also practical. The basket can be used in a variety of ways, including to store towels in the bathroom, magazines in the living room, or even as a decorative plant pot cover. The basket with handles offers a natural look that can be wonderfully integrated into the Scandinavian furnishing style. The basket consists of natural seagrass and is therefore very flexible. The basket can be taken anywhere with the decorative and equally practical long handles. The basket is available in different colour schemes. Details Please note: Differences in colours and sizes can occur. 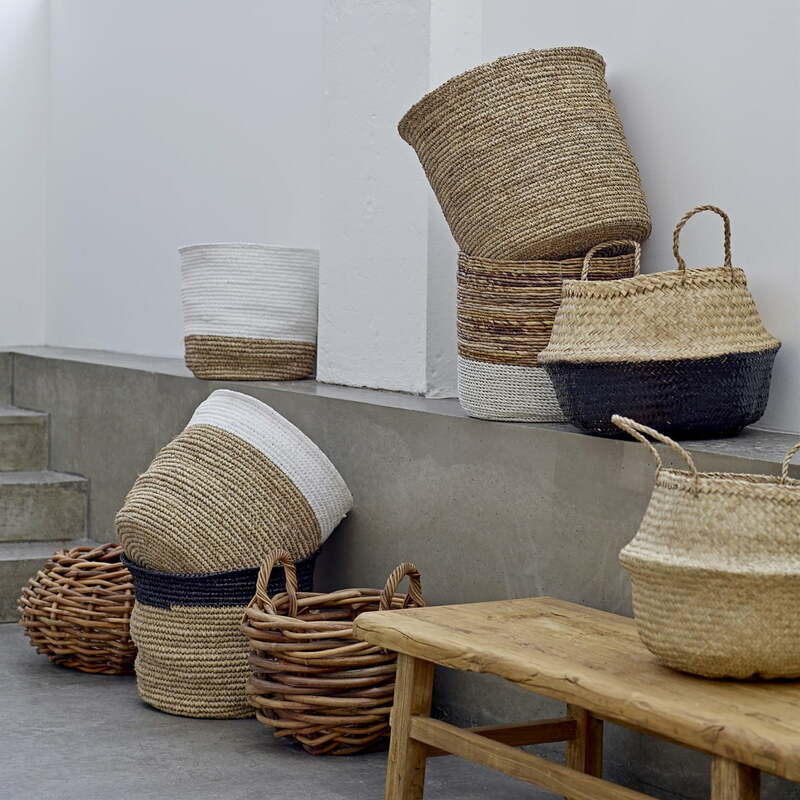 Frontal image of the natural and white coloured seagrass basket by Bloomingville. The basket can be taken anywhere thanks to the decorative and equally practical long handles. 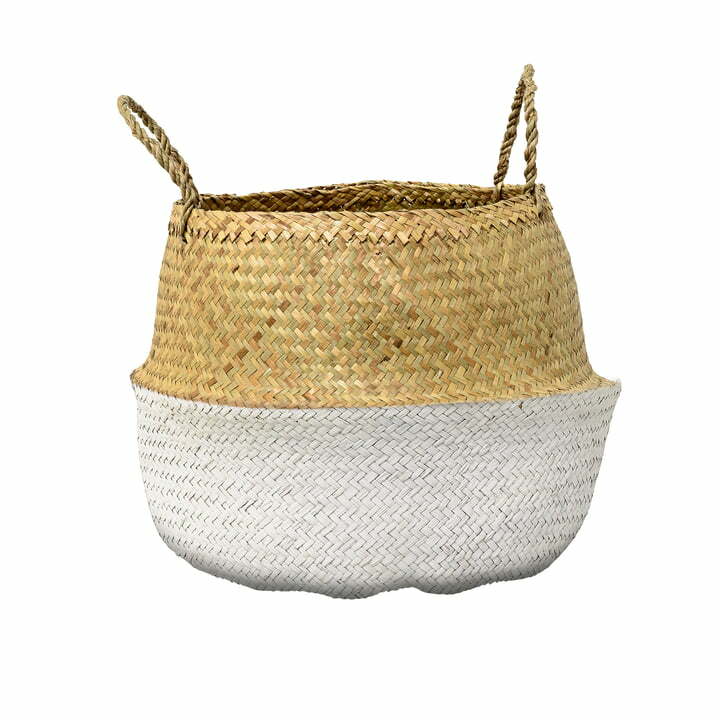 The basket consists of natural seagrass and is therefore very flexible. The basket with handles offers a natural look that can be wonderfully integrated into the Scandinavian style of living.